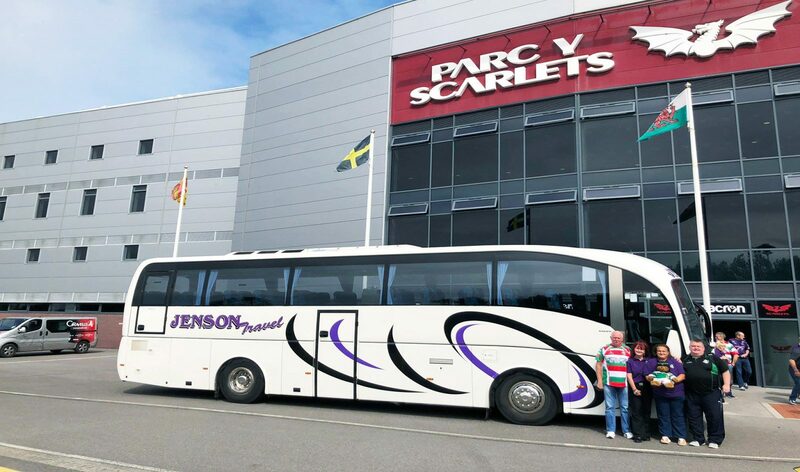 Based in Pontnewynydd, Pontypool we offer private and contract bus services throughout Torfaen and Gwent. Working alongside local councils and organisations we have built up a good reputation for service and reliability as our Testimonials will testify. We run a great variety of Trips throughout the year such as Legoland, Folly Farm, Malvern Show, Weston Air Show and Sidmouth Folk Festivals, etc. as well as our most popular annual favourites, Weston, Cheddar, Porthcawl & Barry. Our Special Trips this year are Elan Valley Tour, Wye Valley tour & A Taste of Wales, our popular Tinsel & Turkey 5 day Holiday of course, and not forgetting the Christmas Fayre's and shopping trips to get your special gifts while having a great day out. 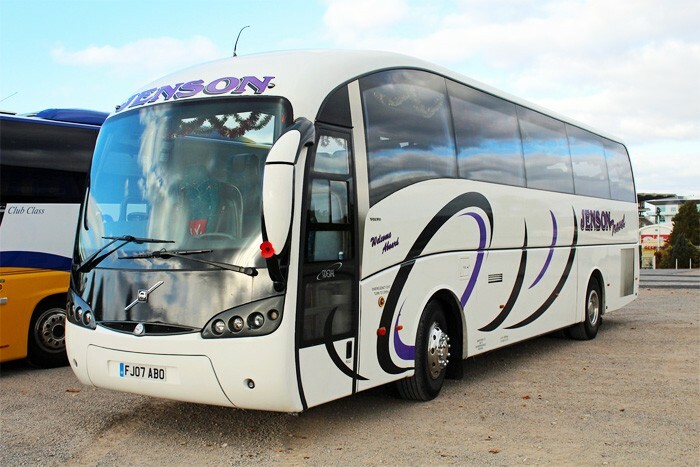 16-33-39-49 Seat buses available for Private or Contract hire. Seatbelts fitted for your safety in all our fleet. We provide a huge variety of Day tips and Excursions, check out our Trip Calendar and Special Trips pages. * Also local bowls clubs Pontypool ladies & men, Monmouthshire to name a few. In the past we did a lot of work for Gwent Association For The Blind until cut backs forced them to close down their clubs. We are a family run firm based in Pontypool Torfaen. I (Gwyn) started the business with my father Thomas (Tom) Jenkins in 1970 hence the name Jen-son (Jenkins & Son). which we continue to run until 1986, due to ill health my father retired. I restarted the firm in 1991, by purchasing a 16 seater Leyland Daf, due to the success I bought another vehicle..
Reference our trip to the Crew Barthomley hotel, and the wedding held nearby on the 10th August, the committee wish to express their thanks and appreciation to your company for the excellent arrangements you made. 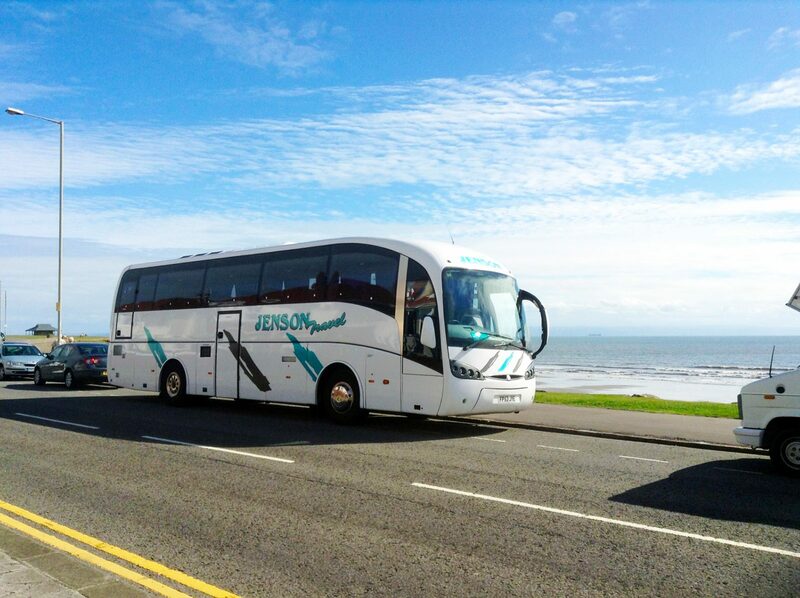 The coach was very comfortable which made the journey pleasant enough and the driver, Mac, was very courteous, co-operative and helpful at all times. M.T.Price Secretary City of Newport Male Choir. You driver, Paul, was excellent throughout the day. He arrived on time, was very well dressed, and was attentive to all our needs during day making sure we all got on and off the train at the right time. In fact he didn't put a foot wrong! He even stopped the rain for us to get on and off the coach, which by the way, was very clean and comfortable. 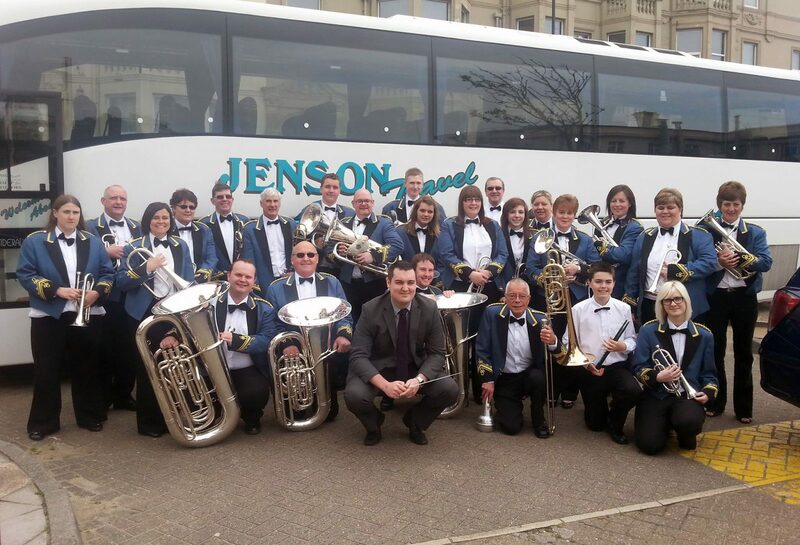 Well done Jensons, We look forward to travelling with you again in the future. 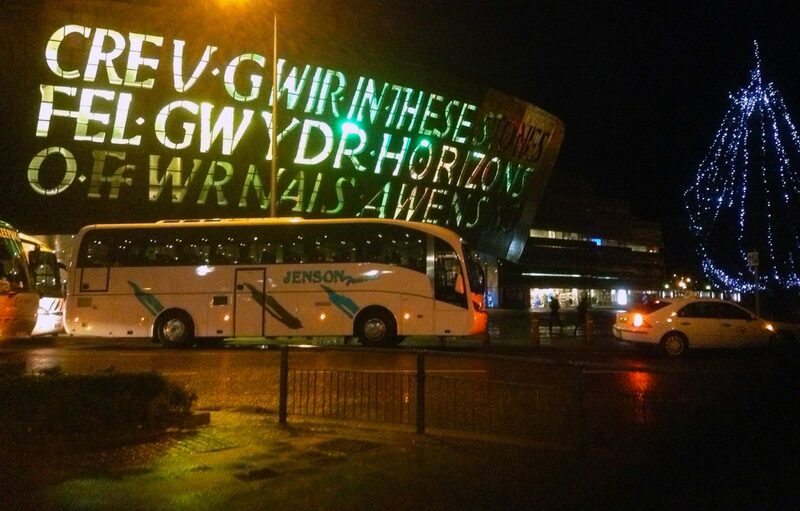 © 2019 Jenson Travel - Bus tours and trips Pontypool. All Rights Reserved.